What is BIOS in Your Computer and What does it do? The word BIOS stands for Basic Input and Output. A BIOS is a lot more than the name suggests. It is one of the main components without which the operating system cannot function properly. Ever since the days of DOS(Disk Operating System), BIOS is present ( even prior to the structured DOS created by Microsoft which we know very well). Even though you do not see the BIOS quite often, it is a very important for your computer to function. BIOS is a firmware, in short. It is stored on a chip on a part of the computer motherboard and is basically, a set of instructions that run to help load the operating system. You OS would fail to load, if not for the BIOS! You can see the BIOS instructions everytime you turn on your computer. These instructions are there to check if there are any faults in Processor or RAM of your computer. It checks each and every compartment of RAM to make sure that everything is working fine. Once RAM and Processor are checked, it then checks all the other devices that are connected to your computer like the keyboard and mouse. After this, BIOS checks for the boot options. Various Boot options are organized in a sequential manner in the order of their priority. You can actually have a look at this by going into the BIOS while booting. The options look like: Boot from CD-ROM, Boot from Hard Drive, etc. It then checks for the bootstraps on various devices in the defined order. Once all the above conditions are done, it passes the control to the operating system by loading the main parts of the OS into the part of RAM which is reserved for the OS. This is not a complete list of functions of the BIOS. 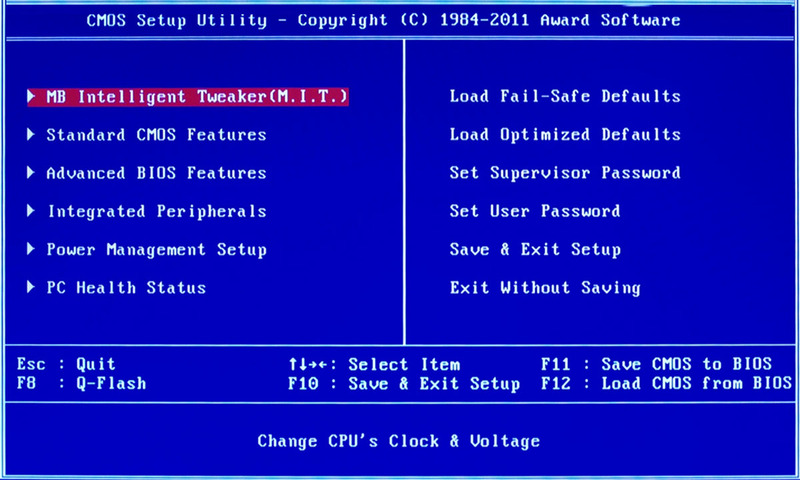 The BIOS also checks up the CMOS, and various other chips to set the date and time on the computer, and also to load the device drivers into the system memory. Siddhartha is a tech lover and a passionate programmer. He loves reading books, spending time with his friends and with his computer. Hello, I put a password to my BIOS and forgot it. How can I reset it without removing the CMOS battery or short circuiting it? ?